The 6th annual 3 Minute Thesis Competition will take place on the 22nd June 2018. The competition requires doctoral researchers to compete to deliver the best research presentation in just 3 minutes (and one slide). Video’s of previous competitions on the University’s YouTube channel. 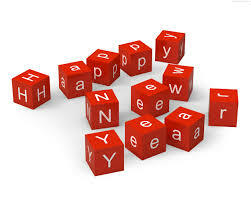 Happy New Year to all Postgraduate Researchers! Happy New Year and a prosperous 2015 from the IAD! Writing Workshops: We offer a range of writing workshops including Getting Started, Grammar, Writing for Publication and Writing Abstracts. Gradschool: Each year we run an Edinburgh Local Gradschool for late stage PhD students. This year’s Gradschool will take place on Wednesday 15th – Friday 17th April 2015. Are you thinking of entering the Three Minute Thesis Competition?!? Are you thinking of entering the Three Minute Thesis Competition but not sure if its for you?? See our guest blog post from the 2014 Winner, Emma Hodcroft, on how the competition has benefited her. But the voice from the left has stopped, and all eyes are on you. It’s time! Take a step forward, balance your weight, square up the audience with your gaze, and turn on your most winning smile. “Remember the last time a cold went around your workplace?…” And we’re off! As terrifying as this may sound to many reading, it’s the same situation that all researchers will inevitably find themselves in someday, sooner or later, at a lab group, meeting, or conference. In these settings, the pressures and nerves of being in front of many people – the centre of attention – are the same, but with the added stress of knowing you’re presenting and defending your work and research in front of many great minds. Because of this, the focus is often almost entirely on packing as much of your work and results into the 15-slide limit as possible. But being able to communicate your work by presenting it effectively is just as important as the information you’re presenting. If you stumble through your disorganized talk, visibly unsettled and distracting the audience with nervous tics, you’ll have a very hard time convincing them of your data. The 3 Minute Thesis competition forces you to confront both aspects of good presentations. First, the work itself. Condensing your research into a 3-minute story from background to the importance of your results is no mean feat! Does your talk tell a story? Does it progress logically? Have you explained why your work matters, and what the implications are of your findings? Have you left the audience lost in undefined terms and acronyms? Have you caught their interest by making your talk relevant to them? The 3 Minute Thesis competition takes this to extremes by forcing such a brief time limit and making you present to an educated general audience rather than people who already know the basics of your field. But the aspects of a good presentation are true in both contexts, and in preparing for the 3 Minute Thesis competition, you’re forced to re-think how to lead your audience through your work in a clear and interesting way. Secondly, the presentation. As you will soon learn once you’ve written out your research story, the memorization is not too difficult. After a few repetitions, you’ll know your talk well. But the repetition itself can be a downfall – do you now sound like a bored schoolchild, reciting a tiresome lesson? Do you rush through your talk, anxious to get off the stage as soon as possible? Do you give your audience time to digest each thought with well-placed pauses? Do you vary your voice, tone, and facial expression to convey your enthusiasm and keep the audience engaged? Are you shifting around nervously or solidly holding your ground? Staring at your feet or confidently surveying the audience? This may all sound a bit much. “I’m too busy!” you cry, “And I’m doing a PhD – I’ve got enough stress without all this!” But for all the things you learn during a PhD, presentation skills are often not one of them. We PhD students are so engrossed in trying to get the gel to run or the program to compile that we forget that aside from data and publications, presentations are the currency of science. A good presentation can secure a job, a fellowship, or a collaboration. At a conference, it can solidify your place as a respected new researcher in your field. The 3 Minute Thesis competition is an excellent opportunity to build up a skill that I guarantee will prove invaluable as your scientific career progresses. Yes, it will take a little time and effort – but everything that’s worthwhile does. And I promise you, the line between ‘nervous’ and ‘exhilarating adrenaline rush’ is a very thin one! So step up to the microphone, take a deep breath – and start! The 3 Minute Thesis (3MT) competition requires PhD students to compete to deliver the best research presentation in just 3 minutes (and one slide). It is based on a concept developed by the University of Queensland which quickly spread across Australia and New Zealand, and has gone global. Participants have the opportunity to compete in the University of Edinburgh Final, as well as the UK and Universitas 21 Final, with some great prizes to be won! Planning for school and college heats is now under way, and the University final will take place on 25th June 2015. Please contact your school postgraduate office to find out about your school heats. Ni ne Edinburgh PhD students are hoping to make their mark in a global competition aimed at improving communications skills. Students from each of the University’s three colleges will take part in the Edinburgh final of the 3 Minute Thesis (3MT) contest on Wednesday, 24 July. The event will be streamed live. The student who delivers the best research presentation in three minutes will go through to an international Grand Final, which is open to students studying at institutions that are part of Universitas 21. Present a PhD in 3 Minutes – Could you do it? How many times have you been asked by a well-meaning friend or relative, ‘What is your PhD about?’ and felt startled and frustrated by the realisation that you cannot explain it simply? Their eyes start to glaze over and you know that you are just tying yourself in knots……. Well, in 2008, the University of Queensland in Australia came up with an innovative way to help address just this problem. They launched the Three Minute Thesis Competition (3MT®) which challenges PhD students to present their research in just three minutes, with one slide, to a non-specialist audience. The competition proved an instant success and has now been held in multiple institutions across the globe. This year, for the first time, the University of Edinburgh has also launched a 3MT competition and after a round of highly successful (and enjoyable!) School and College level heats, nine finalists will now battle it out in the University Final on the 24th July. Along with a great prize, the winner will also represent the University internationally, at the Universitas 21 3MT Grand Final in October. All the finalists have done brilliantly to get this far in the competition and what a great opportunity to communicate the research they do to a wider audience. Please do come along to support them if you can. Free tickets are now available for the University Final but they are likely to go fast so hurry and reserve your place! If this is all making you want to rise to the challenge, why don’t you start thinking about preparing for the competition next year? The IAD runs a number of workshops on presentation and communication skills for PhD researchers throughout the academic year. Have a browse through our A-Z list of courses to get an idea of what is likely to be on offer for 2013/14.